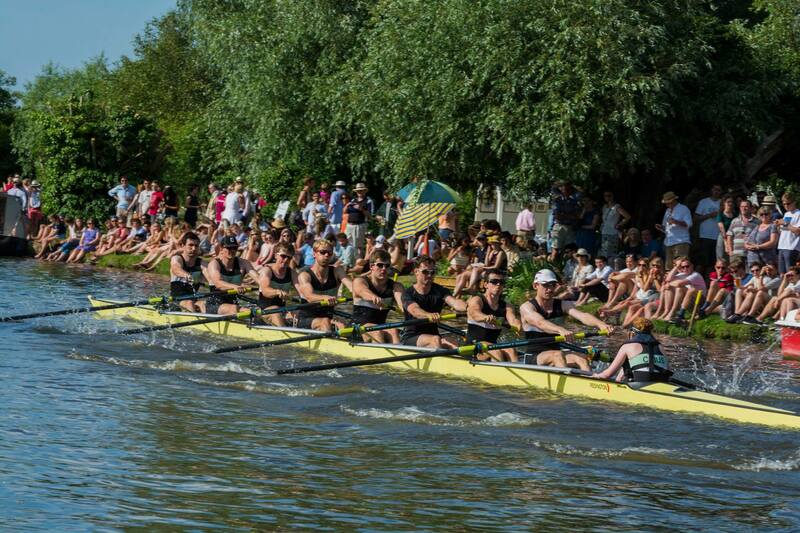 Caius are fortunate to have the best selection of eights of any Cambridge club, thanks mainly to generous benefactors. The Men’s First Boat rows the Jack McDonald (pictured below), a 2010 wing-rigged Empacher, a generous donation from the club’s president Martin Wade. The Men’s Second Boat rows the John Barabino, a wing-rigged Vespoli. The Tony Baker, a Janousek Eight named after our long-serving Caian hero boatman is used by the lower boats. The Women’s First Boat rows the Jimmy Altham (pictured below, about to bump up into headship! ), named after our current Senior Treasurer and long-time alumnus, an Empacher. 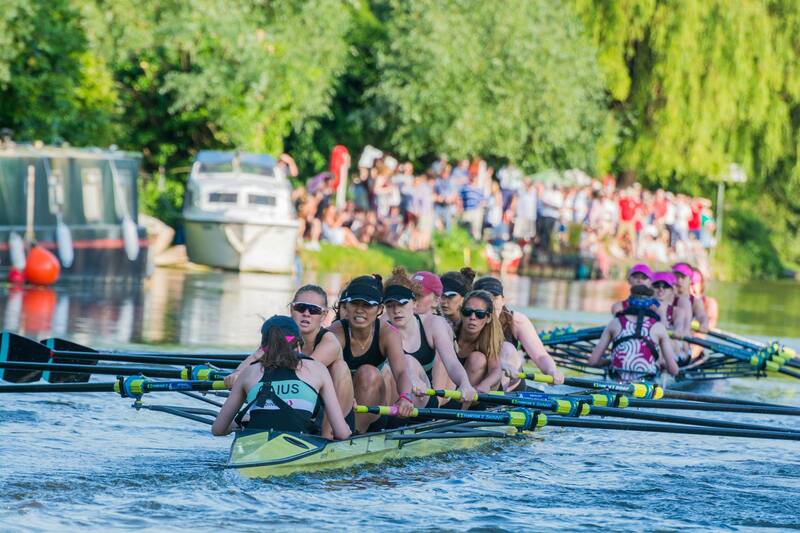 The Women’s Second Boat rows the Pippa Rogerson, a Janousek Eight named after our new Master, the first female Master for Gonville & Caius College.